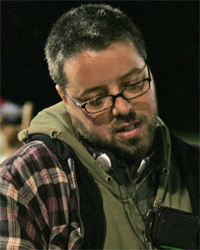 Francis Leclerc has directed commercials, short and medium length fiction or drama for television and a handful of feature films. His adaptation for television of the Robert Lepage play Les sept branches de la rivière Ôta, won the Special Jury Prize at the Rencontres internationales de la télévision in Reims in 1998 and two Golden Sheaf Awards, one for the Best Dramatic Telefilm and the other for Best Art Direction at Yorkton in 1998. His first feature film, Une jeune fille à la fenêtre (Girl at the Window), was released to critical acclaim at the 2001 Montréal International Film Festival as well as numerous other international festivals. It went on to receive three Génie Award nominations and two Jutra Award nominations. His second feature, Mémoires affectives, was wildly praised by critics, and was honoured with Genie awards for Best Achievement in Direction, Best Original Screenplay and Best Performance by an Actor in a Leading Role for Roy Dupuis. It also won acclaim in Québec winning Jutra Awards for Best Direction, Best Editing, Best Actor and the ultimate honour, Best Film of the year. 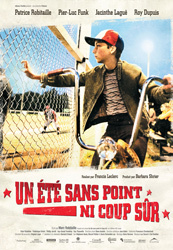 Un été sans point ni coup sûr (A No-hit, No-run Summer) is his third feature film. His short, Trotteur was given a Jutra Award in 2012 as best short film.